Summary: Learn how to install a shower cubicle, fit a ceramic shower tray, fit a shower and fit a shower screen. There is a wide variety of shower systems available but your choice will be largely governed by your household water system. The simplest form of shower is the bath mixer shower, where a mixer tap is connected to a hose and shower attachment. The water temperature and force is controlled by the hot and cold taps on the mixer unit. Although this system is inexpensive and has the advantage of not needing any additional plumbing, the water pressure is affected by water being used in other parts of the building. A power shower uses a powerful electric pump to increase the rate of the water flow to the showerhead from the water cistern. Due to the fast flow of water you must ensure the waste pipe is large enough to drain the water from the shower tray, as it will receive around 27 litres of water a minute. It is recommended that a 50mm (2in) diameter waste pipe be installed. A power shower is not suitable if the water is supplied from a combination boiler under mains pressure. Supplied as a wall unit it uses an electric element to heat the water. The unit is plumbed into the cold water supply and powered by its own electric circuit connected to the consumer unit. You must notify the local building control department that you are carrying out the work and the new electric circuit must be checked by a professional electrician to ensure it complies with Wiring Regulations (BS7671). A manual mixer shower is a wall unit where the hot and cold supplies feed a single valve. Manual mixer systems usually have a single or dual dial control. Controlling the volume of water and the temperature is achieved by adjusting the dial or dials. Although more expensive, a thermostatic mixer shower has a built-in stabiliser that prevents the water running too hot or too cold. A tower unit combines the thermostatic mixer shower with a series of adjustable jets. The unit will also be equipped with a fixed showerhead and a hand-held spray attachment. 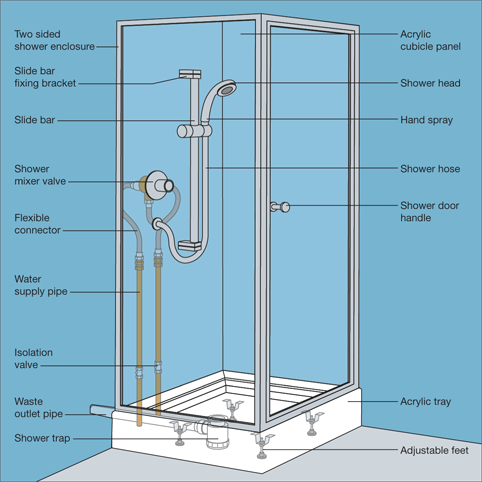 A tower shower can be installed over a bath but it is more likely to be fitted into a shower cubicle or wet room. For a tower shower to work efficiently a ceiling height of 2200mm is required and a pump may be needed to increase the water pressure. The distance between the bottom of the cold water tank and the showerhead must be at least 1 metre for adequate pressure. 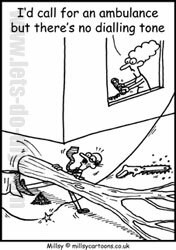 A distance of 1500mm is preferable. If there is not adequate room, it may be possible to raise the height of the water tank or have a booster pump fitted. If the shower is to be supplied direct from the mains supply a non-return valve must be fitted to the mains supply pipe, so shower water cannot siphon back into the cistern. The position of the waste pipe and location of the water supply pipes. The pipe work running from the shower to the hot and cold water supply will need to be recessed in a wall. The walls incorporated into your shower cubicle must be sound enough to have shower screen support channels fixed to them and be lined with ceramic tiles. If building stud walls as part of the shower cubicle it is advisable to use moisture-check plasterboard or even cement-board, as both these materials are ideal for areas of high water usage. Having decided on a position for your shower cubicle that allows access to the waste pipe and water supply pipes, make a plan indicating the position of the showerhead and the route of the pipe work from the shower to the supply pipes. From this you will be able to calculate the length of 15mm diameter piping needed. Shower trays can be made from acrylic, GRP (Glass Reinforced Plastic), resin or ceramic. Resin and ceramic trays are installed on a bed of mortar. Acrylic shower trays are fitted with adjustable legs and as they are higher off the floor than solid trays, it is easier to connect the waste outlet to the waste pipe, as it may not be necessary to remove a section of flooring. Place it where it is to be installed and draw around the tray, also marking the position of the waste pipe on the floor. Remove the tray and using a jigsaw cut away a section of the floor big enough for the shower trap. Just outside your outline of the tray, remove another section of floor to give you an access point for the plumbing work. Make up a PVA solution consisting of 5 parts PVA to 1 part water. Spread this over the tray area outlined on the floor and wait for it to dry. Mix up some mortar and spread the mortar over the tray area. Having screwed the trap to the waste outlet, bed the tray into the mortar ensuring it is firmly positioned and level. Allow the mortar to dry for at least 24 hours. Using the access hole, reach under the floor and attach the shower trap to the waste pipe. Waterproof silicone sealant should then be applied along the edges of the shower tray where it meets the wall. After bedding the tray in a layer of mortar, ensure it is level. Mark the desired positions of the showerhead and mixer unit on the wall of your cubicle. These can be either fitted flush to the wall or recessed. If the mixer is set back in the wall, remember you will need to have a removable panel to gain access to the controls. The supply pipes can be set back into the wall then plastered and tiled over, but in this case the pipes must have a waterproof covering and be fitted with service valves, which must be accessible. As you route the pipe work from the shower to the hot and cold water pipes you will need to join lengths of pipe together. There are several ways of joining lengths of pipe together (see joining pipes), but the compression joint is one of the most simple and effective methods. If possible avoid using elbow joints at corners as these can affect the flow of the water. Instead bend the pipes using a pipe spring or pipe-bending tool. Connect the pipes to the controls and attach the showerhead. Turn on the water and check for leaks. To avoid standing water in the shower tray seeping back into the supply, the shower hose should be threaded through a retaining ring fixed to the wall of the shower cubicle. Once your shower is installed and all the plumbing work completed, you can tile your shower cubicle using waterproof tile adhesive and grout (see ceramic wall tiles). Remember you will need to gain access to the service valves. 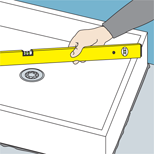 Additionally, the bottom row of tiles should overlap the lip of the shower tray against the wall to ensure your cubicle will be watertight. Shower trays come in different shapes and sizes, so the number of panels making up the shower screen will depend on the type of shower tray you have bought. Shower screens are usually made of either glass or acrylic. Glass shower screens must be made of 4mm toughened safety glass and conform to BS 6206. We are taking a look at a basic shower screen arrangement that has a square tray fitted into the corner of a bathroom/shower room, allowing for a two-piece shower screen comprising of one partition screen and a door entering into the cubicle. These are general tips: always follow the manufacturer's instructions. Taking one of the screen support channels place it vertically against the wall at the shower end of the tray and mark the position of the screw holes. Carefully drill pilot holes through the ceramics tiles (see ceramic wall tiles). Then plug the holes and screw the support channel in place. Fit the screen into the channel so that it rests on the rim of the shower tray. With the screws provided secure the screen through the side of the channel. Fix the second support channel vertically to the other wall. This channel will hold the frame in which the door to the shower cubicle will be fitted. The frame of the partition and the door will meet in a right angle at the corner of the shower tray. Use the fixings supplied by the manufacturer to secure the two frames firmly in position. Following the manufacturer's instructions, fix the door into position ensuring that it opens and closes smoothly, in addition to providing a water tight barrier when shut. Finally, apply silicone sealant to all the joints between the framework, walls and shower tray.